Today I am happy to welcome Charles Rosenberg, author of the newly released Death on a High Floor, to Psychotic State Book Reviews to discuss fiction versus nonfiction, where and how he writes and his upcoming second novel. Hi Charles, welcome to Psychotic State Book Reviews! Thank you for taking the time to chat with me and my readers. Let’s talk about your new book, Death on a High Floor. Did you get the idea from true events or did the idea come to you in a dream, etc.? CR: The idea was generated, not by real events, but by thinking about what it would have been like had I stayed in a single law firm from age twenty-five to age sixty (which is Robert Tarza's age when the novel starts). So it was, in a sense, a projection of the likely psychological state of a comfortable "lifer," as Robert calls himself in the opening sentence. Of course, I didn't stay in the same firm myself. I left my partnership in my first firm during my twelfth year there. So it's a projection of a path not taken. How much of yourself did you write into the character of Robert? CR: That's always a hard question. Robert has my "voice," certainly and, I like to think, a certain degree of my humor about the world of law and the world in general. He also, inevitably, has a lot of my knowledge about how law firms and the court system work. But he's much stuffier and more formal than I could ever be. What would you say is Robert’s greatest strengths and greatest weaknesses? CR: His greatest strength is his ability to assess things calmly and rationally and to act rationally (he does it for his clients all the time). His greatest weakness is his inability to act rationally when he is not personally in control of the situation -- which is exactly what happens to him when he becomes the target of a murder investigation. The result is a series of bad decisions. Did your background as a script consultant come in handy when writing Death on a High Floor? CR: Yes, over the years I got to read more than 400 dramatic TV scripts, with great dialogue written by great script writers. So, in what is perhaps a reverse for first-time fiction writers, I found it initially easier to write dialogue than to write description, although I quickly learned to write description, too. The result, I think, is that Death on a High Floor has a lot of crisp, fast-moving dialogue. Which helps make the novel move very quickly, despite covering a lot of ground. I also learned a lot about plot structure and what it takes to make a scene dramatic. Your previous books have been nonfiction - - The Trial of O.J. Simpson: How to Watch the Trial and Understand What’s Really Going On and as a contributing author to Lawyers in Your Living Room: Law on Television. Is writing fiction more difficult or easier than writing nonfiction? CR: I don't think one is easier or harder than the other. They're just different. In writing non-fiction, you need to be extremely careful to make the facts you're describing pristinely accurate. In fiction, you still need to pay close attention to reality, but you have a good deal more leeway to bend reality slightly to suit the needs of drama. You have a busy legal career in addition to your writing career. How do you balance the demands of a busy law practice, teaching, writing and your personal life? CR: It's sometimes difficult to achieve the balance. But I think what happens is that you learn to prioritize. In my own case, personal life and law practice come first. Then teaching and then writing. That's because in the first three, I have obligations to other people. In writing, the obligation, prior to publication, is only to myself. So sometimes writing needs to get put on the back burner for awhile. Please share with us details about where you write. Do you have a dedicated office space? Are you neat and organized or do you have your own “system”? CR: I don't have a dedicated home office space. I tend to write whenever/wherever I have the time and the inclination -- at my law firm, at home, on an airplane, on vacation, etc. But I'm aware that that approach is a very modern one made possible by a relatively light notebook computer (I use a Sony VAIO). With the notebook nearby, the latest draft is always available to work on with the click of a mouse. In the age of typewriters the wherever/whenever approach would have been much more difficult. On the other hand, I've thought about the fact that most of the great 19th century novels were written with a pencil, a dip pen with steel nib, or a fountain pen. And before that, with a quill pen. It's amazing to me anyone got it done, although I think there are still writers today who write in longhand on paper. Do you have any quirks or peculiarities while you write that are absolute necessities? CR: Not really, although I find it very useful to be able to use Google Street View to look at places I'm describing, even if I've personally been there. It helps both to refresh my recollection and to make sure what I'm describing hasn't changed since I was last there. What is the single best piece of advice you can offer a struggling writer? I understand you are working on a second novel. Care to share some details with us? CR: I've written about 70% of a thriller/murder mystery that is partly set in the White House and other venues in Washington, D.C., plus partly in France and Italy. 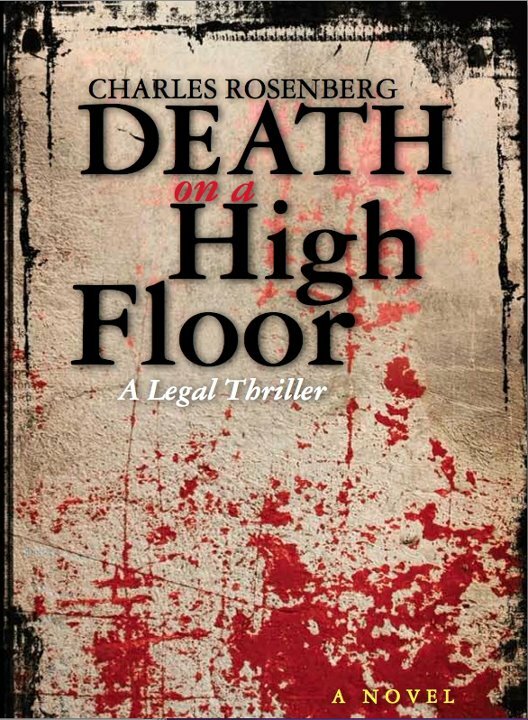 It's not a sequel to Death on a High Floor, but is a more classic thriller. Nor is it about lawyers or the courts, although there is a lawyer character who makes a brief cameo appearance. Unlike Death on a High Floor, it's written in the third person. I've also been thinking about a sequel to Death on a High Floor, using some (but not all) of the same characters and introducing a couple of new ones. Do you have time to read yourself? If so, what authors do you enjoy? CR: I read a lot. I recently finished the novel Cutting for Stone, by Abraham Verghese, which I liked quite a bit. Before that, I read Ann Patchett's State of Wonder. On a recent vacation, I read Joel Goldman's legal thriller, Cold Truth and the sci-fi novel Twin-Bred, by Karen Wyle. Both quite good. On the non-fiction side, I just finished the Steve Jobs biography by Walter Isaacson and am now making my way through The Emperor of All Maladies, A Biography of Cancer by Siddhartha Mukherjee. What is a normal day in the life of Charles Rosenberg like? CR: It really depends on the day. Mostly, it involves doing the many things lawyers do a lot that don't involve courtrooms: talking with clients on the phone, writing and responding to emails, meeting with people (clients, partners, staff, other lawyers, friends) and writing whatever else needs to be written. One thing I've noticed is that on some days I tend to drive around Los Angeles a lot for various meetings. That may be why several scenes in Death on a High Floor take place in cars moving on the Freeways. Another thing I've noticed is that the Curse of the Smart Phone (instant access to email, texts, phone calls, the Net, etc.) makes my days much more chopped up than they used to be. No more waiting for the mail to come, having the leisure to draft a reply and waiting a couple days for the response. And now for some random questions . . .
At the movies, popcorn or candy? John Grisham or John Lescroart? If you could represent one infamous/famous defendant, who would it be and why? CR: Mary Surratt, who owned the boarding house in Washington, D.C. in which John Wilkes Booth and the other conspirators plotted the assassination of Lincoln and the attempts on the lives of other members of the government. She was convicted of being a co-conspirator and hanged. I would want to represent her because I think she was likely not guilty, and the period at the end of the Civil War would have been an interesting time to be a citizen and a lawyer. And lastly, if you could use one word to describe Death on a High Floor, what would it be? Thank you so much, Charles, for taking the time to answer my questions. Best of luck to you with Death on a High Floor! My review of Death on a High Floor to be posted on Friday, December 9! Readers, here is a question for you. . . what famous trial would you have liked to attend? I think I would have liked to attend the trials for silent film star Roscoe Arbuckle. Not only was there little hard evidence against him and some very questionable character witnesses but I would have loved to have seen Hollywood and San Francisco in the Roaring Twenties! Charles B. (”Chuck”) Rosenberg has been the credited legal script consultant to three prime time television shows: L.A. Law, The Practice and Boston Legal, as well as The Paper Chase (Showtime). During the O .J. Simpson criminal trial, he was one of two on-air legal analysts for E! Entertainment Television’s live coverage of the trial. He also provided commentary for E!’s coverage of the Simpson civil trial. He is also the author of the book The Trial of O.J. Simpson: How to Watch the Trial and Understand What’s Really Going On (Publishing Partners 1994) and is a contributing author to the book Lawyers in Your Living Room! Law on Television (ABA Publishing 2009). He has taught extensively as an adjunct law professor, including at Loyola Law School in Los Angeles, the Loyola Law School International LLM Program in Bologna, Italy, the UCLA School of Law, the Pepperdine School of Law, and the Anderson Graduate School of Management at UCLA. A graduate of the Harvard Law School, where he was an editor of the Harvard Law Review, Chuck currently practices in the Los Angeles area. He has been a partner in several law firms, including a large international firm. Currently, he is a partner in a three-lawyer firm. Chuck and his wife have lived in Los Angeles since the early 1970s. He is at work on a second novel. His latest novel is Death on a High Floor. 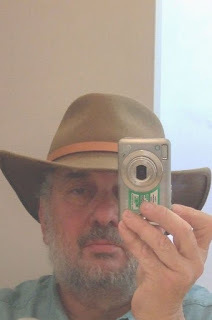 Visit his blog at http://charlesrosenberg.wordpress.com. Connect with him on Facebook at www.facebook.com/profile.php?id=820177073. No one is surprised when Simon Rafer, the much-despised managing partner in the large international law firm, Marbury Marfan, turns up dead – with an ornate dagger buried between his shoulder blades. Rafer, an abusive boss, had many enemies, but the prime suspect becomes firm senior partner Robert Tarza, at least according to one Detective Spritz. With Jenna James, his friend and colleague, Tarza sets out to find the real killer or killers before Spritz assembles enough evidence to put Tarza away for life. Rosenberg, who has extensive experience as a legal script consultant to prime-time TV legal dramas, has been inspired by best-selling legal thriller writers like Scott Turow and John Grisham, but equally by TV producers like Stephen Bochco (“L.A. Law,” “Hill Street Blues,” “NYPD Blue”) and David E. Kelley (“The Practice,” “Boston Legal,” “Ally McBeal,” Harry’s Law”), as well as old time detectives like John D. MacDonald’s Travis McGee. He also provided full time legal analysis for E! Entertainment Television’s live coverage of the O.J. Simpson criminal trial as well as commentary for E!’s coverage of the Simpson civil trial. He started writing DEATH ON A HIGH FLOOR in the mid-2000s. The appeal to readers of DEATH ON A HIGH FLOOR is simple, Rosenberg maintains. “There’s a large market for courtroom dramas. 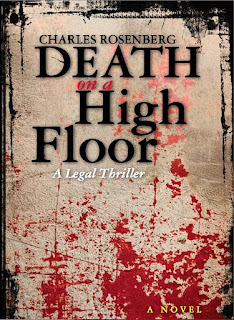 Lots of people like them because courtrooms are the perfect place for drama – conflict and resolution, all in one small room.” Rosenberg also hints that there will be a sequel to DEATH ON A HIGH FLOOR.